For more than 80 years combined, KALIS, KLEIMAN & WOLFE has not only been a pioneer in providing a voice for the community in legal matters, but also has been a respected employer and community partner. We actively participate in local, state and national BAR Associations, civic and business organizations and cultural, educational and charitable activities. The annual A.D. “ACE” Griffin Memorial Golf Tournament benefits The James Jr. Fund, Inc., Co-Founder A.D. Griffin for Children with Cancer and Special Needs. The American Cancer Society (ACS) is a nationwide community-based voluntary health organization dedicated to eliminating cancer as a major health problem-by preventing cancer, saving lives, and diminishing suffering from cancer- through research, education, advocacy and service. The Davie-Cooper City Chamber of Commerce is a membership organization which exists to serve and support its members. The Chamber unites the business community, local government and community organizations in an effort to foster the growth and development of Davie and Cooper City. The Rotary Club of Davie-Cooper City is an organization of business and professional leaders united worldwide who provide humanitarian service, encourage high ethical standards in all vocations, and help build goodwill and peace in the world. The David Posnack Jewish Community Center enriches lives by connecting people through cultural, educational, social, recreational and wellness programs in an environment of fun, friendship and unity. The J is open to all and proudly guided by Jewish values. The Davie Emergency Assistance Service Effort (E.A.S.E.) was founded by the business community and residents of Davie and is run as a non-profit Foundation in conjunction with other human service agencies throughout the county. The Foundation works in Davie, Cooper City and the surrounding Southwest Broward unincorporated areas for financial services. 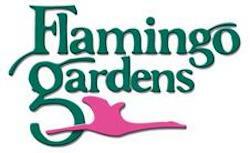 The Foundations objective is to help those in need to ease their way back into a self-sustaining, productive life. Their focus is to prevent homelessness, but they also reach out to the homeless with food, clothing and hygiene supplies. Friends of Madagascar is a non-profit that provides education and health supplies to students in Madagascar and fostering intercultural awareness and communication between students in the USA and Madagascar. Gloria Dei Lutheran Church and the Gloria Dei Lutheran Academy is located in Davie, Florida and serves the Broward County community. The Academy offers academic excellence and social development in a nurturing Christian environment. As a nationally accredited school (NLSA) serving infants through 8th grade, the school provides a full curriculum including fine arts, athletics and foreign language. Nova Southeastern University’s Mentoring Program sets forth an agreement on the goals of the relationship, the rules regarding communication, specific responsibilities of each party, the boundaries of the relationship (what issues fall outside the relationship), what will be deemed confidential information, a release and hold harmless clause (regarding the Mentor’s professional liability), how and when the relationship will end, and any other terms agree to by the parties. The Davie School Foundation was established in 1984 to protect and restore the Davie School to the integrity of its earlier appearance. The Foundation in conjunction with the Town of Davie, the Broward County School Board, the Soroptimists International of Davie, the Davie Historical Society and the community at large has worked tirelessly to preserve this important piece of Broward County’s history. Project Stable, Inc. is a non-profit 501c3 corporation that provides special needs adults and children with therapeutic riding programs; exposes school teachers and students to living life on a farm through tours; provides horse clinics and 4-H programs to members of the community. Soroptimist International of Davie is a non-profit 501c3 corporation that is an international volunteer-service organization for business and professional women who work to improve the lives of women and girls in local communities and throughout the world. 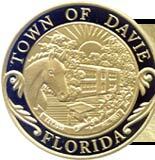 The Town of Davie is home to over 90,000 residents who live across a lush 35 square miles within central Broward. The Town’s rural atmosphere, western theme district and sprawling educational complex foster an environment that separates Davie from all other municipalities in Broward County. The town has green open spaces, numerous parks and over 165 miles of trail system along with the opportunity to live an equestrian lifestyle are amenities that you just can’t find in today’s growing South Florida. The Weston Rotary Club is an organization of business and professional leaders united who provide humanitarian service, encourage high ethical standards in all vocations, and help build goodwill and peace in the world.